We are extremely proud of Sport Lived participants who have gone on to excel either in their chosen sport or in other areas of their chosen career after taking part in one of our programmes. Here are a few examples. 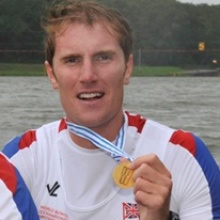 After returning from a Sport Lived rowing programme in Melbourne, George was part of the victorious Cambridge University crew in the 2010 Boat Race. He was then selected to row for Great Britain at the London 2012 Olympics where he won a bronze medal in the men's pair with Will Satch. George represented Great Britain again in 2016, winning a gold medal with the men's coxless four. Phoebe Murray took part in a Sport Lived rugby programme in New Zealand and was subsequently appointed Captain of the England U20 rugby team for their successful summer tour of Canada. "I had the most amazing experience in the Rugby Academy out in New Zealand. The level of coaching and training I received was outstanding and helped shape me into the player I am today." 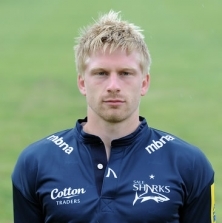 Jimmy attended the Sport Lived Rugby Academy before undertaking his degree at Leeds Metropolitan University. Whilst at university Jimmy impressed the Leeds Rhinos Rugby League coaching staff whilst playing rugby union for Leeds Met, British Universities and National League team Otley. 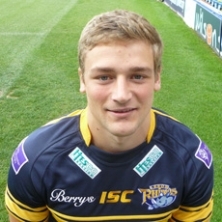 Jimmy went on to sign for Leeds Rhinos in 2011, and was a part of the victorious Rhino's Super League winning team in 2015. "The Rugby Academy was nothing short of an amazing experience. The coaching, guidance and training all made for something really special"
Tim went on a full season rugby programme in Australia with Sport Lived. 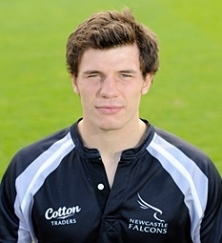 On his return, Tim studied at Newcastle University and was selected to play for Premiership team the Newcastle Falcons. Tim was named Falcons Player of the Year in 2010-11 and signed a 2 year contract with the Glasgow Warriors before the 2012-13 season. He made his Scotland A debut against England Saxons in February 2013 and his full Scotland debut against South Africa in June 2013. "If I hadn't gone to Australia, I wouldn't be here now"
Ed attended the Sport Lived Rugby Academy in Brisbane. He has since played for the British Universities, English Students, the Samurai International sevens team and is currently playing for Championship side the Rotherham Titans. Emma took part in a hockey programme in Australia, before attending Bath University and playing in America. 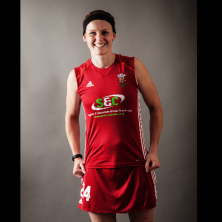 She then became a firm fixture in the Welsh hockey team, winning more than 50 caps, and playing in 2 Commonwealth Games. James Cunliffe took part in a Sport Lived programme where he played and coached hockey in Australia. 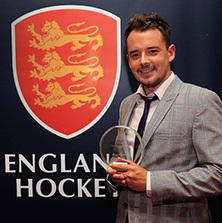 James was named Impact Coach of the Year at the 2017 England Hockey Awards Dinner for revitalising the men’s and junior section sections at Liverpool Sefton Hockey Club.